Legal review of the decisi­on. The mari­ti­me obli­ga­ti­ons app­ly to pri­va­te and sta­te sec­tor cap­tains ali­ke. Whe­ther the res­cue of refu­gees in dis­tress is car­ri­ed out by pri­va­te per­sons or bor­der con­trol bodies is irrele­vant; the obli­ga­ti­on remains to trans­fer the per­sons affec­ted to a “place of safe­ty” whe­re the above-men­tio­ned human rights and refu­gee law requi­re­ments con­cer­ning pro­cee­dings and legal pro­tec­tion can be met. Accord­ing to gui­de­li­nes from the Inter­na­tio­nal Mari­ti­me Organisation’s Mari­ti­me Safe­ty Com­mit­tee (MSC), a ves­sel, as a gene­ral rule, can­not be deemed a safe place wit­hin the mea­ning of the SAR214 any more than pro­ce­du­ral rules for human rights and refu­gee law can be obser­ved on board. 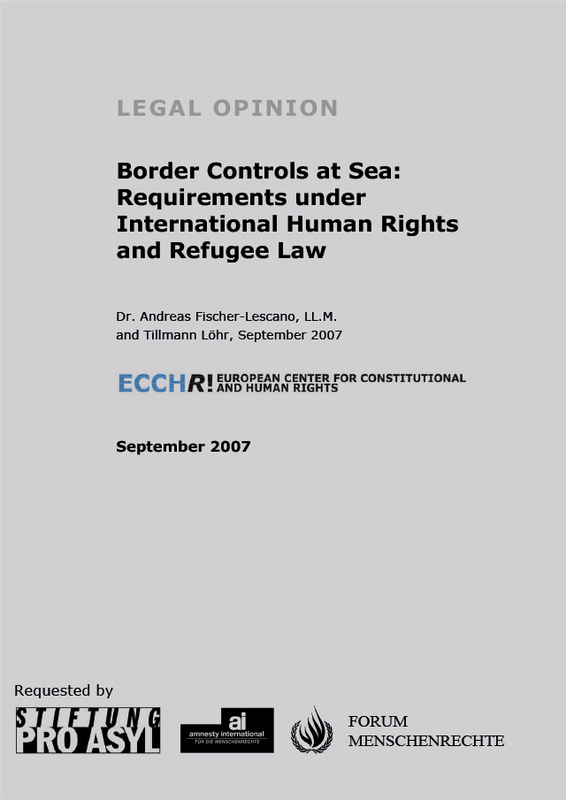 Asyl­um see­kers and migrants who are taken in at sea or have reached the juris­dic­tion of European bor­der con­trol bodies by other means, must, the­re­fo­re, be per­mit­ted to dis­em­bark and resi­de on dry EU land pen­ding a decisi­on and appeal.